Investment is one of the most important factors for in the modern world of competition. It is understood that the more people invest, the secured the future becomes. SBI or State Bank of India is one of the pioneering names in terms of Life Insurance and various investments. People from different geographies, various backgrounds and with unique financial capabilities invest through SBI. However, there is more to it than only fund investment. One must make sure to track the Life Insurance as well. You need to check the policy details in regular intervals. However, at the same time, it is equally troublesome to visit the nearest branch to track everything. Well, the days have improved now and technology has made sure that the details reach right in front of your eyes without any trouble. Just like we can check sbi account balance online, you can also now check all the details related to your Life Insurance on SBI life Online portal. If you do not know, how to get the details, then here is how you can check SBI life status online. The first thing is to log in to the SBI Life Insurance Portal for the My Policy. You will be given some crucial details about the policy you have enrolled to. Policy Number, Customer ID would be given to you. You can visit the SBI Life My Policy Home Page https://mypolicy.sbilife.co.in/ to submit the details. Once you provide the Customer ID, Policy Number and Date of Birth and submit, the system will verify and display the details on the screen. The next thing if the details of the Policy Holder and the information provided match, is registration. The information gets displayed on the screen. You would be given an option to update your phone number and email id through Edit or Confirm options. Once you provide the updated details, you will be asked for the log in details with a form. You can fill the details of the form and submit it. An automatic email will be sent to your registered email address. The email will contain the link to reset the password. 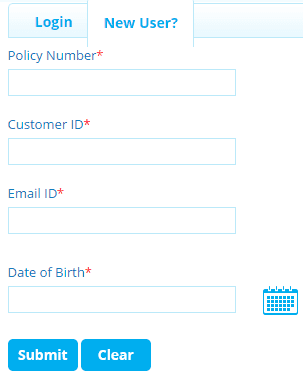 Once you click on the reset password, you can choose a password and register on the My policy of SBI. Once you have reset the password, you can now log in to the system with your user id and the reset password. You will be taken to the home page of the My policy with all your records regarding the Policy Number mentioned during the registration process. You can navigate to various services offered on the home page of the My policy to enjoy the services. You can get multiple benefits and enjoy all the services just on your finger touch. The entire process is very simple and anyone can do this. It does not require sound technical knowledge as well. You can use the services on your desktop and laptop. However, the facility is also available on your smart phone mobile. So, now you can enjoy the world of services from the SBI Life Insurance Policy online whenever and wherever you want. Similarly, you can check PPF account balance online.